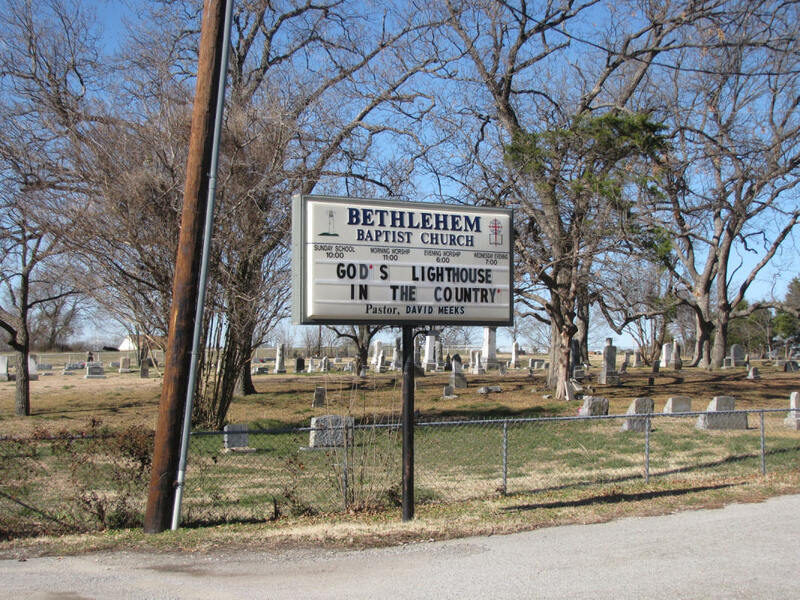 This church and cemetery are among the oldest in Collin County. The church was started in 1843 in the home of Mr. Hugh Woody. The cemetery was started in 1845 with the burial of Mrs. Woody. Her marker has not survived. Hugh Woody and his second wife deeded one acre to the Bethlehem Church for a church building and a school in 1859, listed in Vol O, p 727. Church services were stopped in 1958 but restarted in 1985. Buried in the cemetery is "Mule" Murray. He was noted for breeding and introducing mules to the local area to replace oxen for plowing. He hand-made the pews in the church sanctuary. 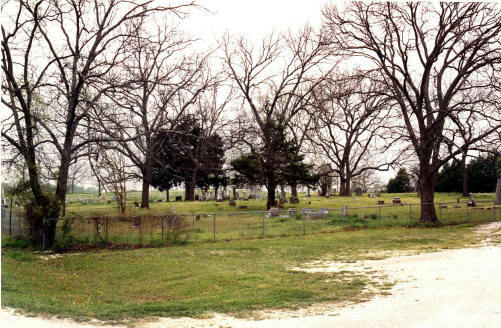 This cemetery and church are in a remote section of the county. At one time the road in front of the church was part of the Farmersville-Bonham Road. The cemetery is about 3 acres with a chain-link fence. Many of the stones are tall. Very few stones are broken. There are several large trees in the cemetery. A sign in the cemetery states that the pecans are for the use of the Cemetery Association. The church was deeded land in Vol 322, p 383, and Vol 326, p 382. In the deeds the land is referred to as the Huff/Watson Graveyard. Some of the local people call it Bethel Graveyard.